If you are looking to sell your car, it’s good to know what kind of options you have at you disposal. Depending on the quality of your vehicle and what kind of return you hope to get from it, there are some definite things you should keep in mind. Luckily, thanks to the internet, accessing all of the resources available to you is now easier than ever. 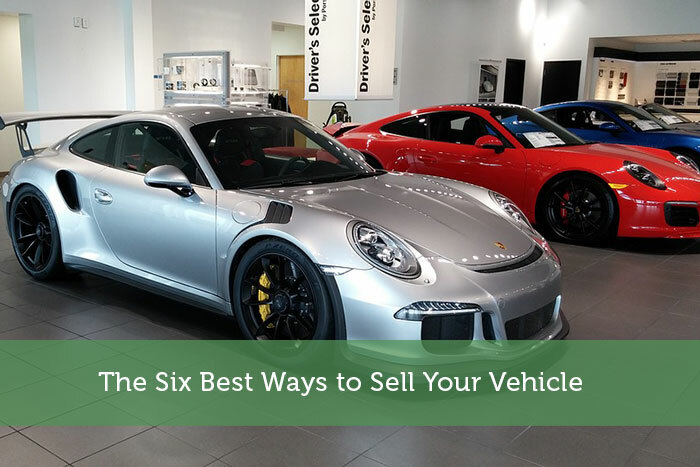 If you are wondering about the six best ways to sell your car, continue reading! 1. Sell your car on your own. If you are looking to get the most money for your car, selling it privately is typically the way to go. That being said, it also requires the most work on your end. Selling your car on your own requires you to find out the value’s market valley, but that’s pretty easy to do thanks to Kelley Blue Book. The harder aspects of selling your car on your own include advertising, replying to inquiries, being available for potential buyers to come and test drive your vehicle, and much more. Still, there are some resources that can really come in handy. Depending on how fast you are looking to part ways with your vehicle, you can consider placing ads on sites such as Craiglist, eBay, Cars.com, Autotrader, AutoTempest, Beepi, and more. Make sure to include information such as make, model, history report, maintenance and repair history, and any previous accidents that took place. Include detailed pictures, be upfront about the car’s condition, and then focus on getting your sales prospect behind the wheel to take it for a spin and see how much they like the car once they’ve experienced driving it. 2. Sell it to a dealership. 3. Take out a car title loan. If you are interested in getting money for your vehicle, but are not yet sure if you want to sell it outright, one option is to take out a car title loan. Title loans are secured loans, based off of the value of your car, that typically have a term of 15 to 30 days. One nice thing about title loans is that you can take out a loan on your car and still operate and drive your car as usual. The one thing to keep in mind when taking out car title loans is that the interest rates connected to them are usually quite high. Sometimes as high as 25 percent! Beyond that, if you are unable to pay back your loan by the end of your term, you could risk having your car repossessed. It is certainly an option, but one you should tread carefully with. Autotrader offers a number of solutions to car owners who are looking to sell their car quickly and easily from the comfort of their own home. One great program that they offer is their Instant Cash Offer which lets car owners sell their vehicles at local participating dealers after they offer an instant online appraisal. 5. Trade in your car. Chances are good you are wanting to sell your car to help you cover the costs of buying a new one. If that is the case, you might as well skip the middle man and go straight to trading in your car to go towards your new car. The way to do this is to visit a dealership and receive an appraisal just like if you were selling your car. The only difference is that once you accept your appraisal, you will be able to use that value as a down payment on your next vehicle. Some trade-in programs will even provide you with a future value, so that you know exactly how much you will get for your car once you decide to sell it. Trading in your car is probably the easiest way to part ways with your car if you are interested in getting a new one. You can literally drive in with your old car and drive away with your new one. The dealer will even take care of all of the paperwork that comes with selling a car. 6. Have your car picked up by WeBuyCars. If your vehicle is still in solid condition and you are looking to get the sale done quickly and easily, one great resource at your disposal is a service like WeBuyCars. This service will help you sell your car in a quick and easy manner, they will even travel to where your car is located to complete the sale – this includes providing an instant appraisal. If you accept the appraisal, they will cut you a check then and there and will even travel with you to the bank of your choosing so that you can be confident that the check will clear. They can also two the vehicle away on the same day. Now that you know some of the best ways to sell your used car, it is up to you to decide which is the best route for your car, your financial expectations, and the amount of time you have to commit to the process.